As I’m sure I’ve mentioned before, when I wrote A Superior Slave (GQ 0.5), it was a sort of last-minute idea that I thought might help generate interest in the main books. I had all this backstory worked out for Martin and the other slaves that really wouldn’t fit into Henry’s books, and it suddenly occurred to me other people might actually be interested. Originally, there was just going to be this single story offered from Martin’s point of view and then the four main books from Henry’s. The Martin story wasn’t meant to be 100% required reading, though obviously I did (and still do) feel that it adds to the experience of reading A Most Personal Property (GQ 1). But beginning with A Proper Lover (GQ 2) and the second Martin story, A Master’s Fidelity (GQ 2.5), my intentions were a little different. I began to see the Martin stories as more integral to the narrative as a whole, as a real opportunity, and this sense increased with the third set of books and then the fourth. So if you get to the end of A Collar and Tie (GQ 4) and don’t continue on with A Free Choice (GQ 4.5), you do actually miss out on the real conclusion to the series. I know there are readers who were very angry with Henry at the end of ACAT and stopped reading, and I certainly can’t guarantee they’d be happier after reading AFC, but that final Martin story was intended to provide resolution. The series started in Martin’s POV, and I wanted it to end there, as well, with his perspective on the aftermath of Henry’s mistakes. I called it a quartet because I’m stupid, basically, and I didn’t know what I was doing when I started, but it’s an 8-book series, not 4 with extras. Lesson learned. Giving away the Martin stories wasn’t a bad idea at all, but it didn’t work out the way I expected. Besides the unintentionally-misleading quartet/numbering issue, I do think offering them for free meant that some saw them as unnecessary to the narrative when that’s absolutely not the case. 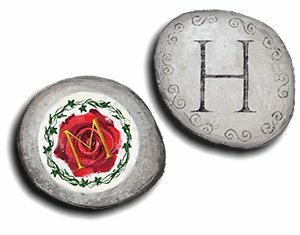 If you read the Henry books, you should definitely read the Martin stories! Haha, thank you! I’m glad you’re up for more of Henry and Martin, as I definitely will be continuing with their lives and all the changes that will come. However, if I ever end up doing another 8-part story, I’ll plan it that way from the beginning and name it accordingly!